This time last year I penned a reflection on what was one of the most controversial MotoGP seasons in my living memory. 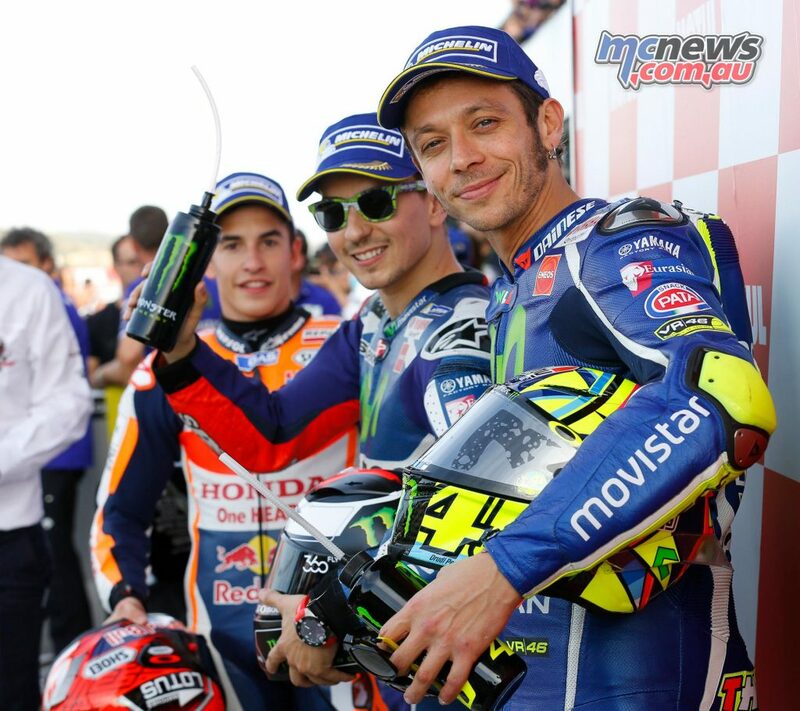 To refresh memories, the real controversy kicked off with Valentino Rossi throwing accusations at Marc Marquez for taking points away from him at the Australian Grand Prix at the famed Philip Island Circuit. In the closing part of the race, Marquez had the audacity to pass Rossi and Lorenzo to take the win. Both of whom had been vying for the championship. 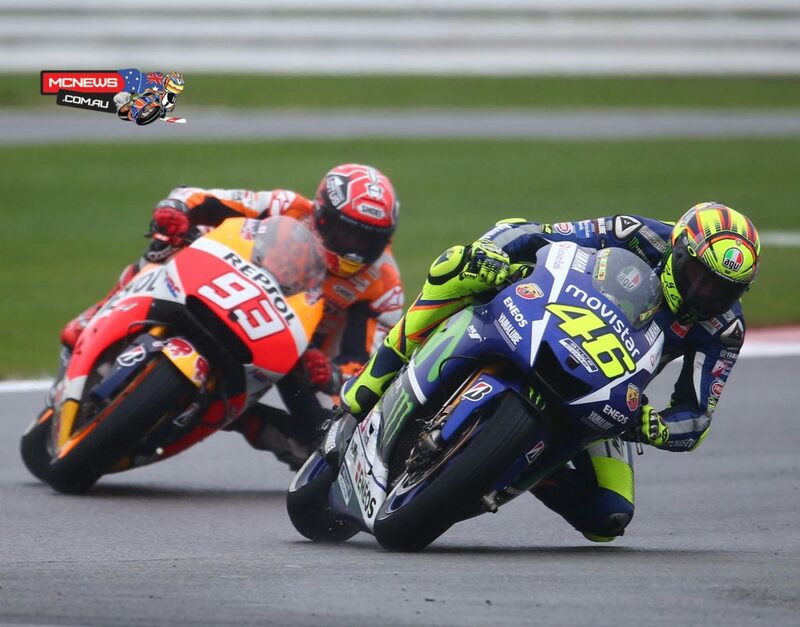 A fact forgotten by many was Andrea Iannone who like Marquez, was not in the hunt for the championship, also passed Rossi taking valuable points from him. But that according to Rossi fans was a moot point. This led to the meltdown of all meltdowns, with Rossi attacking Marquez in the press conference, much to the surprise of Marquez who up to this point had thought he had a friendship with Rossi, his childhood hero. From here on in, the barbs and verbal attacks only escalated. The end result being Lorenzo won the championship. For 2016, my hopes were that the silly mind games, use of the Valeban, un-sportsman like behaviour and the plethora of yellow eyed journalistic worshipers would not raise their ugly head. However, one perhaps was asking for too much, considering myriad of changes in terms of tyres, electronics and riders for 2016. This year, the arctic tundra remained between Rossi and Marquez, until just after mid season, when the death of Louis Simon finally thawed some of that frosty rift. However, the damage had been done. 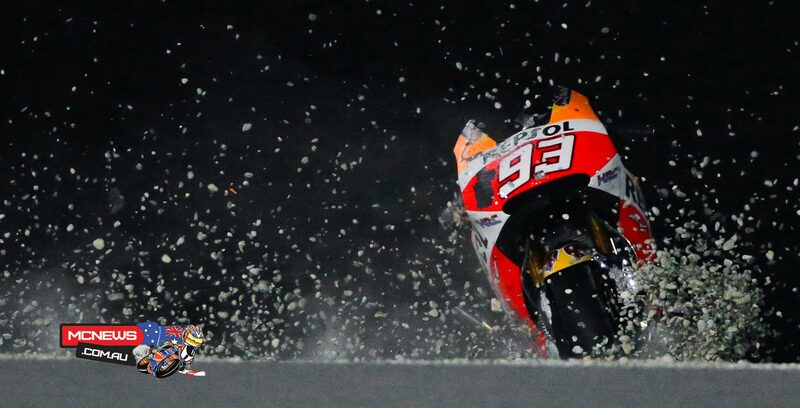 That damage was not to Marquez, it was quite the opposite. Valentino soon found that Marquez was made of much tougher stuff than any previous opponent which he had managed to effect with his mind games in his entire Grand Prix racing career. Instead of allowing Rossi’s comments to detrimentally effect him, Marquez very much ignored them. Perhaps even used them as a focus to put more effort into his next season. Effort that not only came with a fortified resolve, but also with a far greater depth of maturity in his riding. He took on board his own mistakes from the 2015 season, realising that not only did he have to ride competitively all season, but also that he must be consistent, finish races, be more pragmatic and sometimes accept that a podium, or even just a finish, was a far smarter option than the bin it or win it mentality that had prevailed the previous season. Most pronounced was completely ignoring the Rossi mind games played in the previous season, nor any further attempts which may have played out throughout the season. To my mind, Rossi’s apparent attempt to mend the rift after the passing of Louis Salom, was perhaps more of an attempt to change tact to see if an altered approach may lessen Marquez’ resolve. However, Marquez appeared nonplussed the entire season. His focus was on one thing and one thing only. Setting up a fast racebike for every round and making the most of what he had on race day. Which apart from the odd mistake, he managed to do with uncanny foresight. An example being some of his tyre choices as well as some of his pit strategies in the flag to flag races. In those, he appeared to have his crystal balls polished and large. However season 2016 didn’t commence according to the best hopes of Honda or Marquez, with the Honda being somewhat of a problem child initially. Both the team and riders had major challenges in adapting to both the new Michelin control tyres, as well as the much less sophisticated electronics package which was uniformly imposed for season 2016. There were also a host of other issues with the bike, such as chassis and swing arms which didn’t appear to make riding the Honda easy early on in the season. 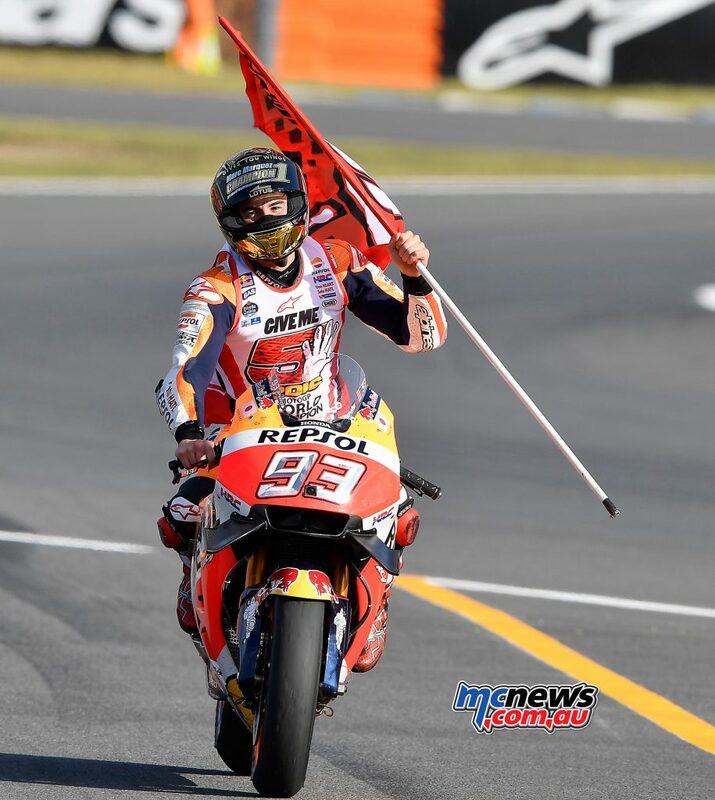 However, both Honda and Marquez chipped away at it and eventually found a way to alter the bike, wrap their heads around the electronics, adjust settings to suit the tyres and importantly, modify riding styles to suit this host of changes. Looking at the bikes for 2016, it was blatantly obvious that the Yamaha was the bike to be on. It adapted to the host of tyre and electronics changes perhaps better than the other manufacturer and its chassis was still the sweetest of the bunch. At the start of this season, I for one had picked a Yamaha to be the winner of the 2016 championship. As it turned out, they fell just short of securing the manufacturers championship, in part due to Jorge Lorenzo’s abysmal form in the wet this year, an odd engine failure, some out of character crashes from Valentino, all of which put paid to any chance of a Yamaha rider winning the title as well. So to see Marquez dominate season 2016 was a surprise to say the least. Again, I attribute part of this dominance to the residue of last years Rossi barbs still flowing through the veins of Marc Marquez mind. It was a pleasure to watch Marquez just get on with it. He appeared to completely ignore any of the mental games which had played out previously and had but one goal firmly etched in his minds eye. That of winning races and the championship, on what was perhaps this year, one of the most difficult to ride motorcycles on the grid, which says a great deal about his pure talent as a motorcycle racer. 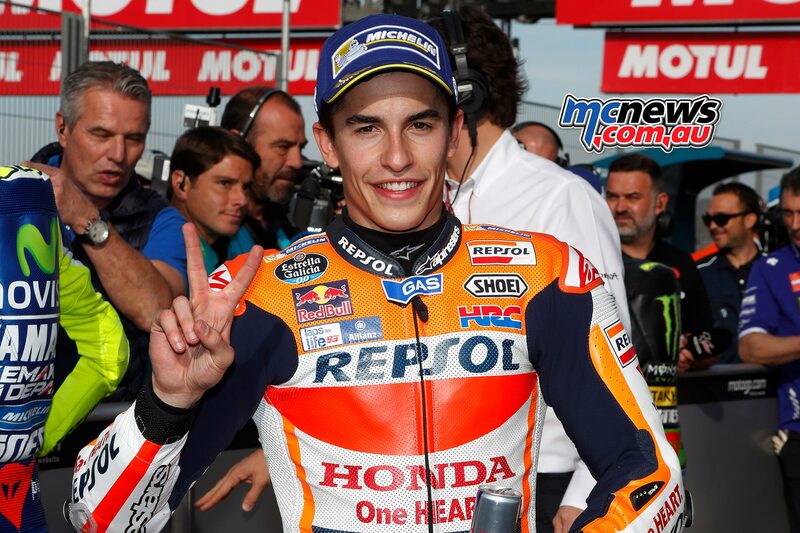 At the tender age of 23, he has already eclipsed the pole positions records of many great riders, Doohan and Rossi being two. This in itself is a massive achievement at such a young age. What fills me with excitement, is that he has many more years to surpass many more records in MotoGP and go on to become the greatest Grand Prix racer of all time. His championship win this year was not only deserved, but it was also mature and consistent. A fact which bodes well for Marquez next season, but not so for any of his rivals. 2017 brings some interesting changes in terms of both riders changing camps and with new manufacturers entering the playground as fully fledged teams. The changes which will be most focused on will be the move of Maverick Vinales to Yamaha to ride alongside Valentino as his team mate and just as monumental, Jorge Lorenzo’s move to Ducati. How both these play out will be perhaps one of the most intriguing happenings for season 2017. Vinales has some obvious talent and has shown that while riding the Suzuki, which although vastly improved, is still not in the same league as a Yamaha or a Honda at this point. If Vinales form continues and he bests his team mate, you can bet London to a Brick that the wall will come up and the arctic tundra will flow between the two team mates. 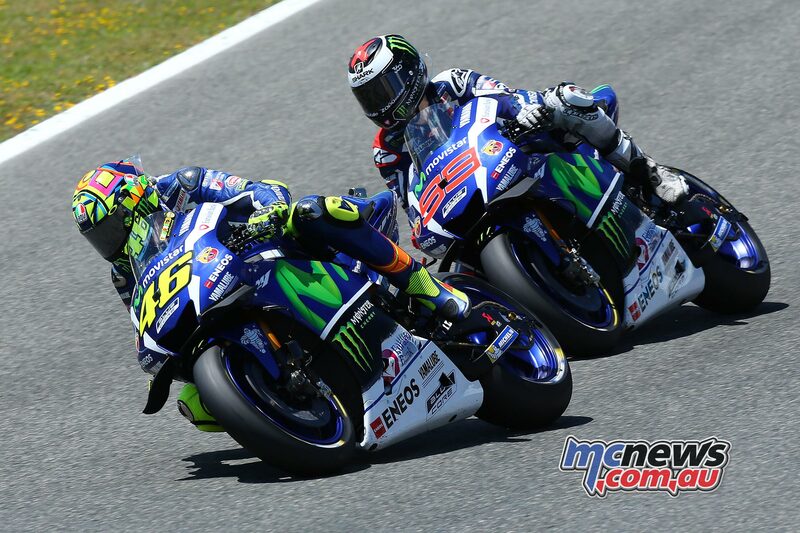 If Maverick sits behind Valentino and remains a good little boy, respectfully keeping his experienced team mate in front, then pit relations may well be happy families. For that we will have to wait and see, although seeing how fast Vinales has adapted to the Yamaha during the post Valencia tests, bodes well for Maverick and perhaps not so much for Valentino. One thing I will predict, is that despite his experience and his renewed desire, Valentino will not win another MotoGP championship. His fantastic career should not be diminished by that statement in any way. No one with any logic can claim Rossi as anything but one of the greatest motorcycle racers ever to twist a throttle. But, his time has passed and despite his best efforts, he appears to no longer have that last 1 per cent that he previously had. But he is a great asset to both Yamaha and as a draw card of public support for MotoGP and I hope he continues racing until he makes the decision to retire on his terms. He will still be the perfect tool to assist in building Vinales up to being Yamaha’s number one rider. The other rider shift being watched intensely will that of Jorge to Ducati. Lorenzo being perhaps more closely focused upon than that of the Vinales move to Yamaha. Many are claiming that Lorenzo’s riding style will not suit the Ducati. However, there are some factors that should be given some weight when assessing his performance next year. One being his very strong relationship with Gigi. They have worked successfully in the past and the Ducati is certainly improving every race, to the point where it is now as competitive as both the Yamaha and the Honda. If Lorenzo can overcome his wet weather front end confidence concerns with the Michelin tyres which plagued his season this year, then one would be a fool to rule him out of the hunt for the title in 2017. Certainly, if early times on the Ducati are an indication, he is going to get on well with the bike and it will suit his riding style perhaps just as well as the refined Yamaha has previously. At the start of this article, I stated that one of my hopes, that was that the controversies of last year would be well and truly left behind. Well, we almost made it until through, until the recent video was aired, showing Valentino barging past a woman in the pits on his scooter, using arms, legs and shoulders to shift her and dashed those hopes. Already the Valeban and Rossiratti are out in force defending his actions. Actions which I personally find indefensible. Regardless of the person being in the pits or not, Valentino was not on his way out of pit lane on his racebike and there should be no excuse for any person to act so aggressively towards any other person, let alone a woman. It is one of the most ungentlemanly acts I have witnessed in the paddock and should not be defended. Had it been Barry Sheene, I am sure he would have stopped immediately to inquire as to the woman’s well-being, had it been James Hunt, he would have probably done the same and then bedded her that night! There in lay the difference.